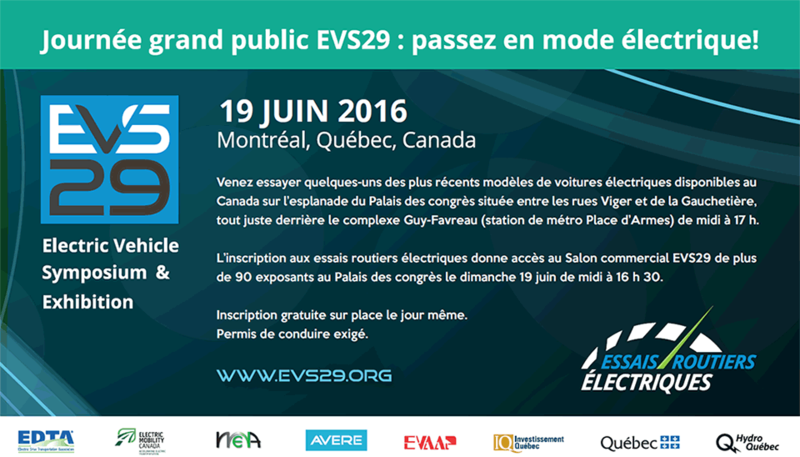 It’s time to have a look at our EV2015VÉ electrifying program! Latest and promising developments will be presented by renowned speakers in an innovative and dynamic setting facilitating discussions and new ideas. 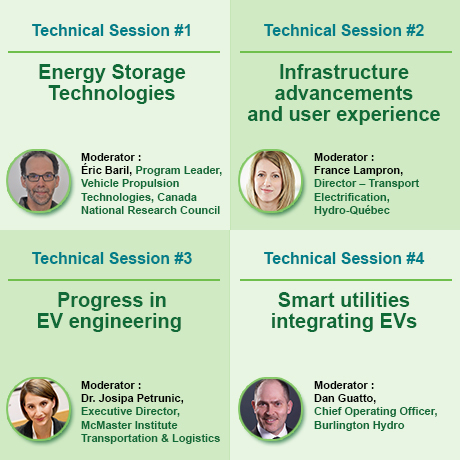 EV2015VÉ Conference proposes four technical sessions moderated by stakeholders from various EV fields. To learn more about our program and speakers, click here. 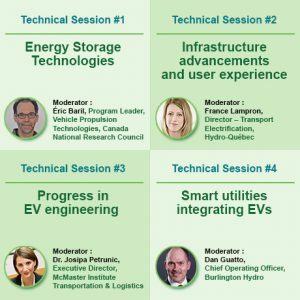 At the opening plenary, highlights of EVS 28, the International Electric Vehicle Symposium, will also be presented exclusively to delegates! Don’t wait any longer and register today! Early bird rate has been extended and ends on Tuesday April 7. You can save more than 250$! The deadline for the call for Ideas has also been extended to April 7. Your concepts, ambitions, dreams and creations are the driving force of the more and more promising electric vehicle future. Click here to learn more. Invitations to participate at the 4th annual edition of the Student Competition have also been sent out. The Student Competition will be held on Monday, May 25, 2015 during EV2015VÉ.